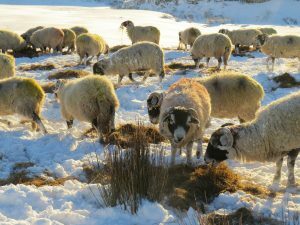 Our Swaledale sheep are hardy and resiliant and are bred to survive the harshest weather conditions. 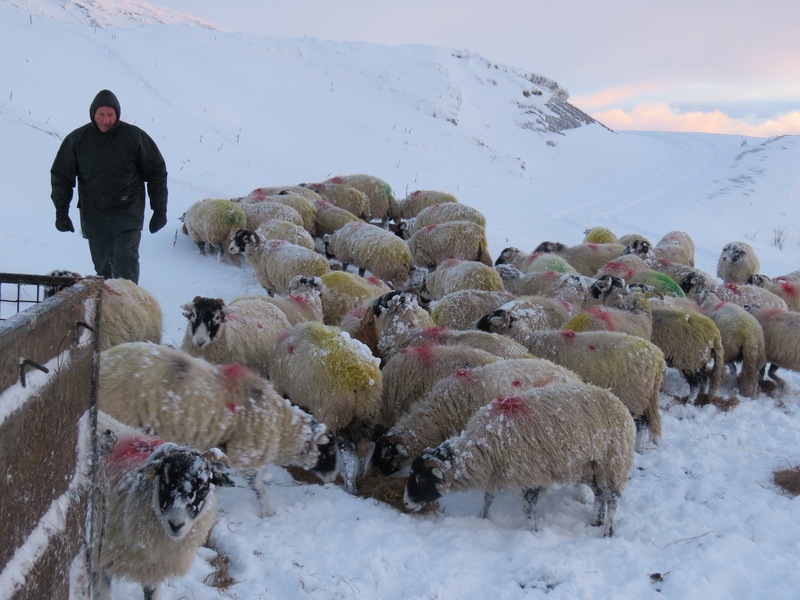 However they would struggle to find food when the ground is covered in snow. 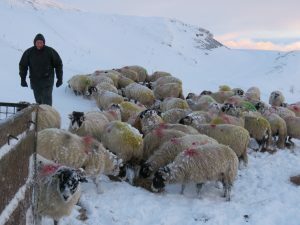 They are all in lamb so it is essential that in bad weather we take food to them twice a day. 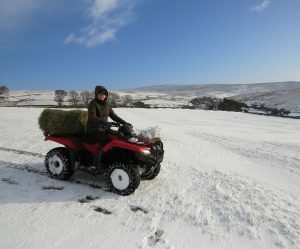 It is always gratefully received. We watch the weather forecast religously and take necessary action when bad weather is on the way. 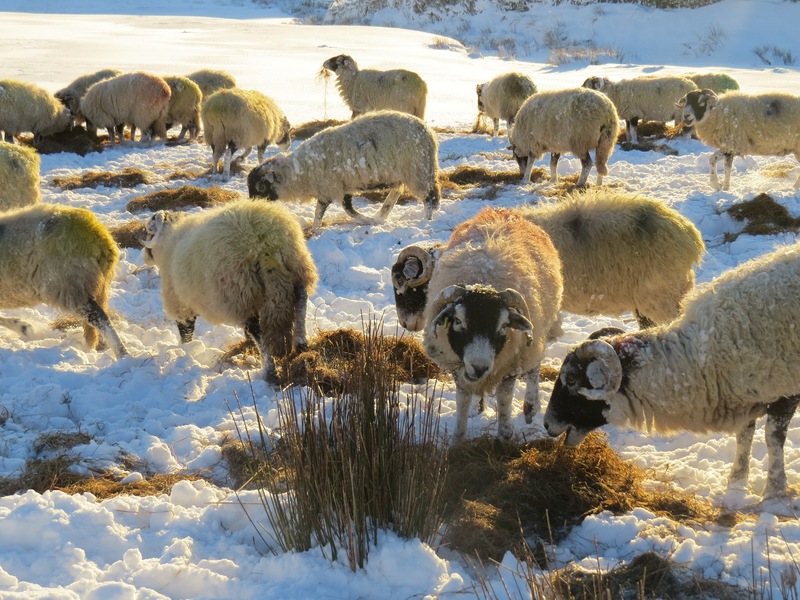 These Swaledale sheep were moved off the moor to a pasture that offers protection from the wind and driving snow.